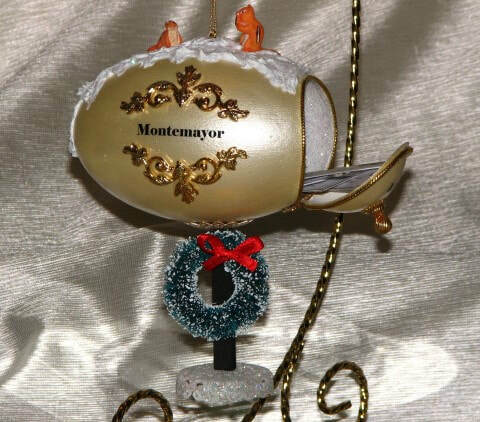 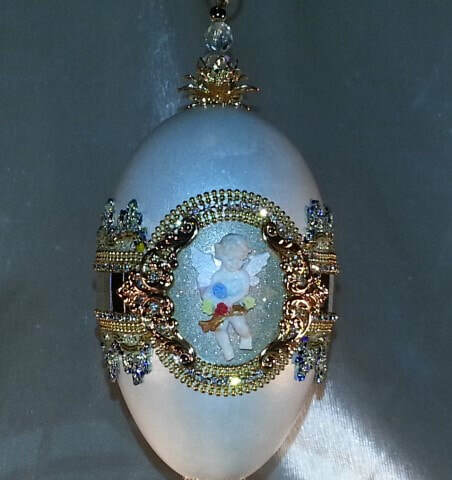 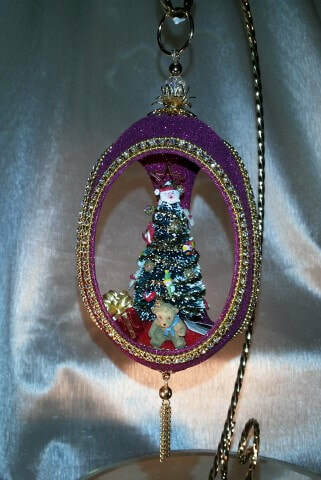 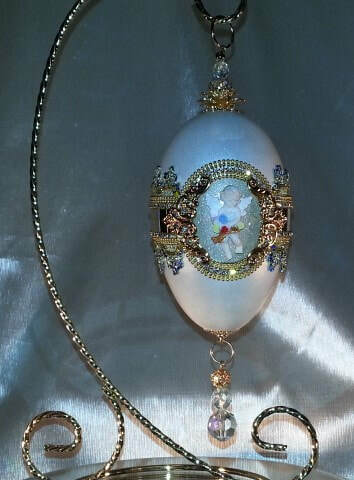 ​A large goose egg is used to create this Holiday Cherub design, the cherub is framed in a circle of Austrian Crystals and bead filigree and accented with mirror flex and crystals around the egg. 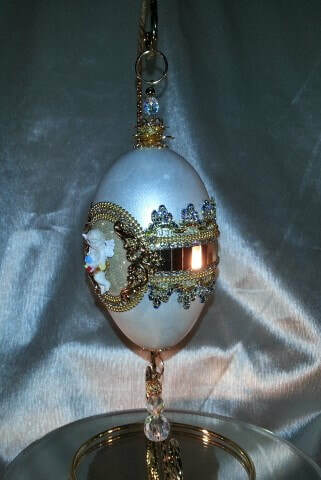 The design is finished with a decorative braid around the egg. 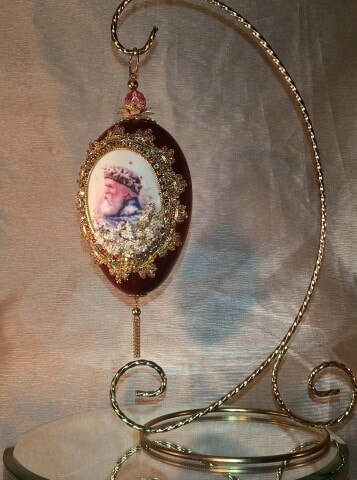 Beautiful crystal gems are used in the top and bottom of this hanging design. 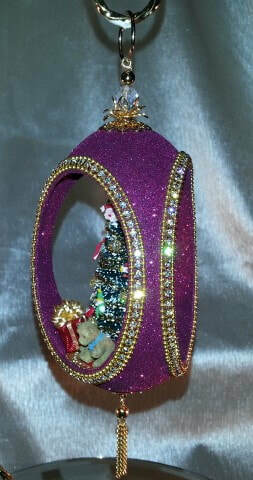 This Holiday Cherub will look wonderful on a Christmas tree or on a hanging stand to enjoy all year round. 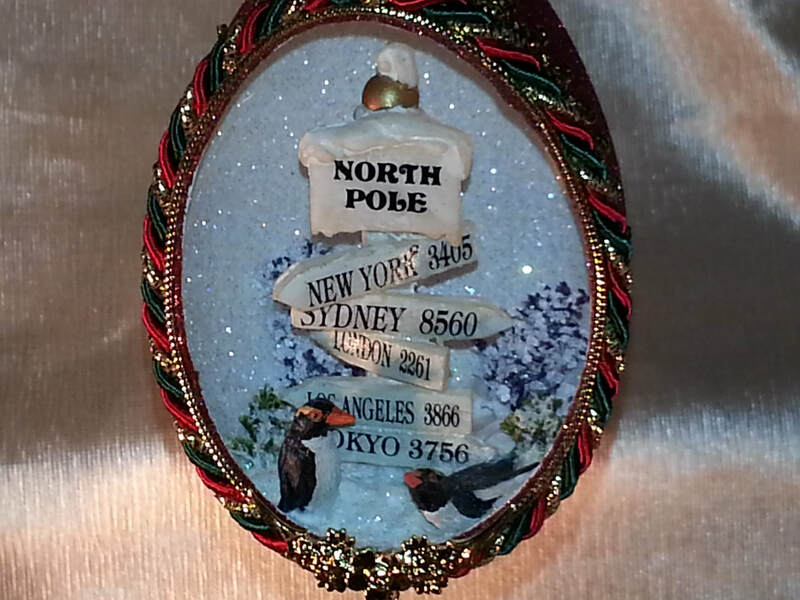 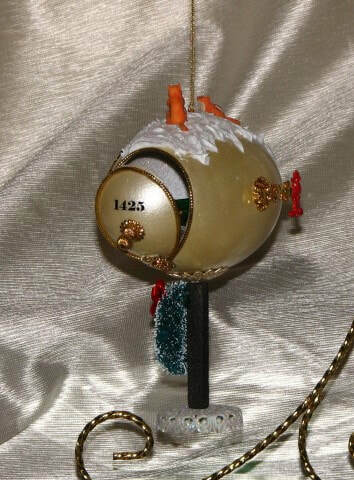 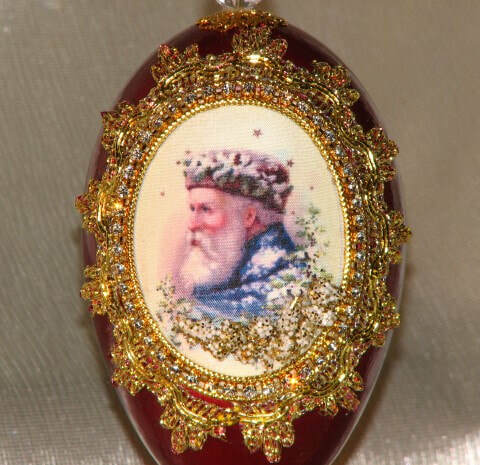 A Christmas favorite is captured on this goose egg design with a silk print of old Santa. 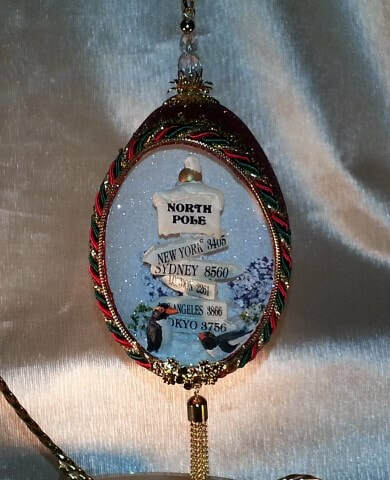 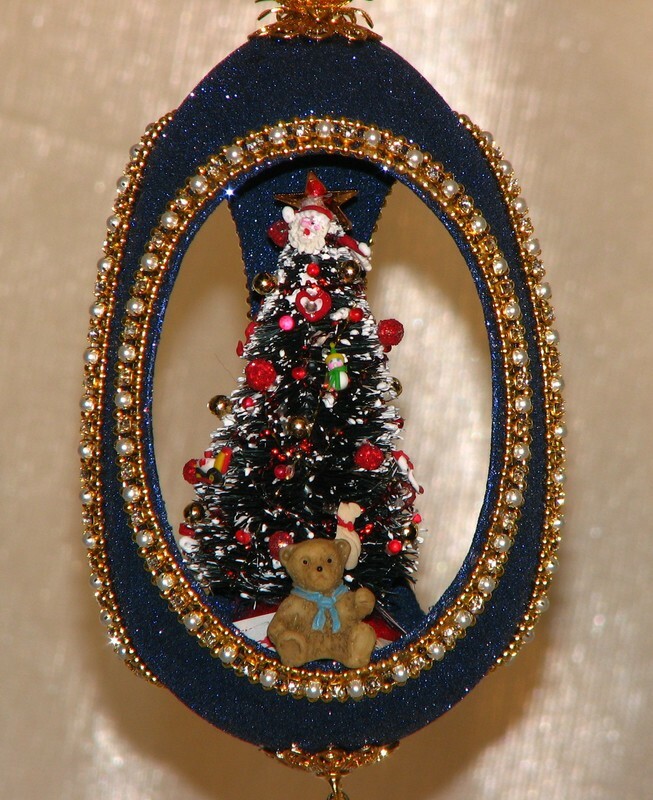 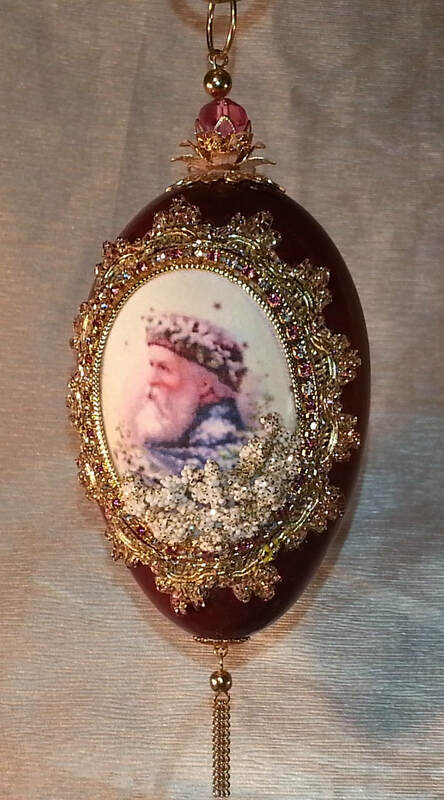 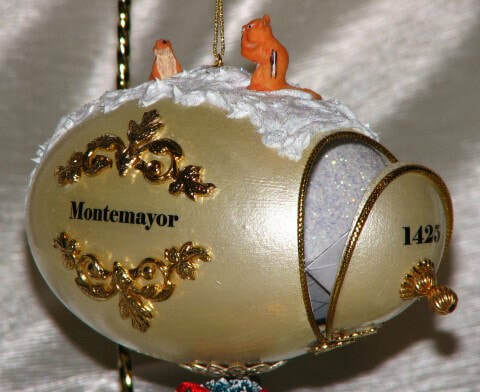 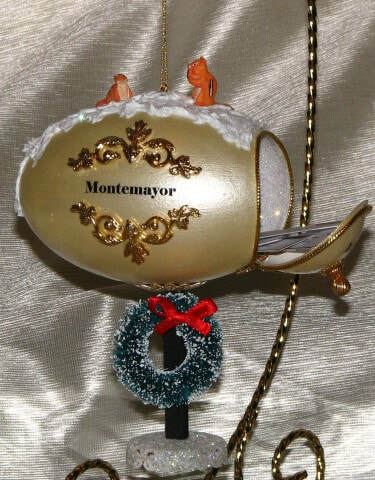 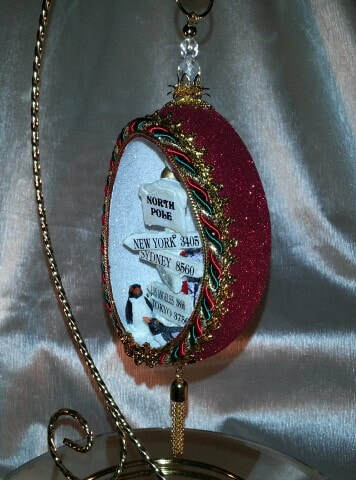 The egg is painted a rich cranberry and trimmed with gold braid and a dazzling Austrian crystal chain. 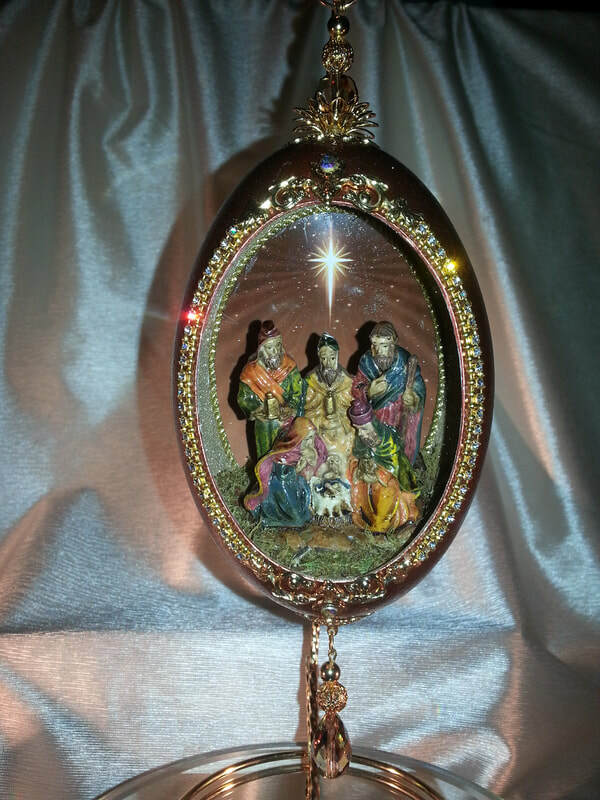 An elegant gold border is added to finish this wonderful design. 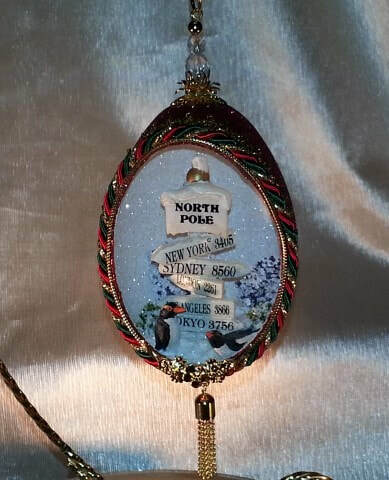 ​This wonderful holiday design finds two penguins trying to find the North Pole. 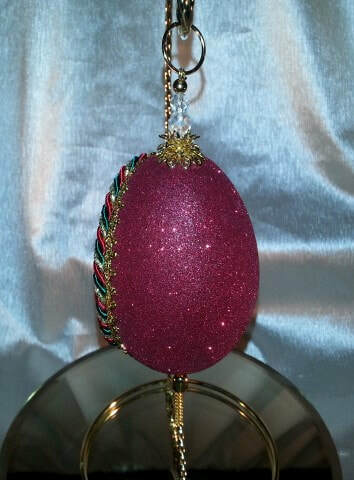 The goose egg is hand cut and decorated with a multi-color braid. 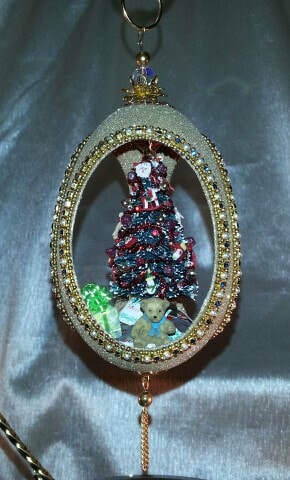 Diamond dust glitter added to the inside of egg to give a snowy effect. 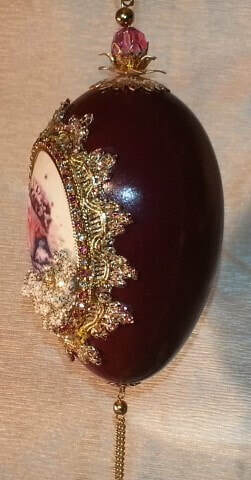 The outside of the egg is given a rich Red velvet glitter and the egg is topped with a crystal finial and gold tassel.